Living Area 2375 Sq. 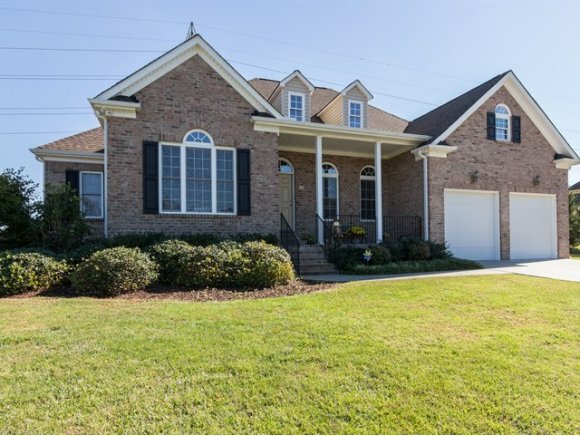 ft.
All Brick Story and 1/2 open floor plan. 5 Bedrooms, including one above the garage with private bath. Gas log FP in Family, All Stainless Appliances in Kitchen w/Solid Surface counters & Pantry, Utility Sink in Laundry, Master Bed w/Trey Ceiling, Sep. Garden Tub w/Tile Backsplash, fenced in Backyard, Move in Ready! Call Ken for more details (919) 304-9392.